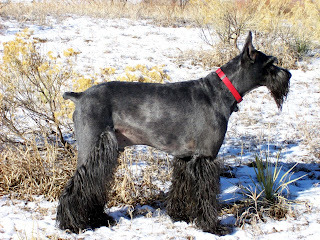 In spite of his increasing age, Boogie the Giant Schnauzer is still awfully fond of going for walkies in the snow.The combination of the crisp air, the soft snow and the bright sunshine just brings out the best in him, and he tears around like a pup. Then he sleeps for the rest of the day. Snow and Werewolves. And SNOW. Please - Send Food. We're Starving! Get Thee Gone, Evil Weather!